Greetings people! Sorry for the hiatus on reviewing products because my skin condition was in bad condition and I'm not confident to show my worse condition to everyone. My skin is healing currently, so be sure to read more about my reviews starting this month. 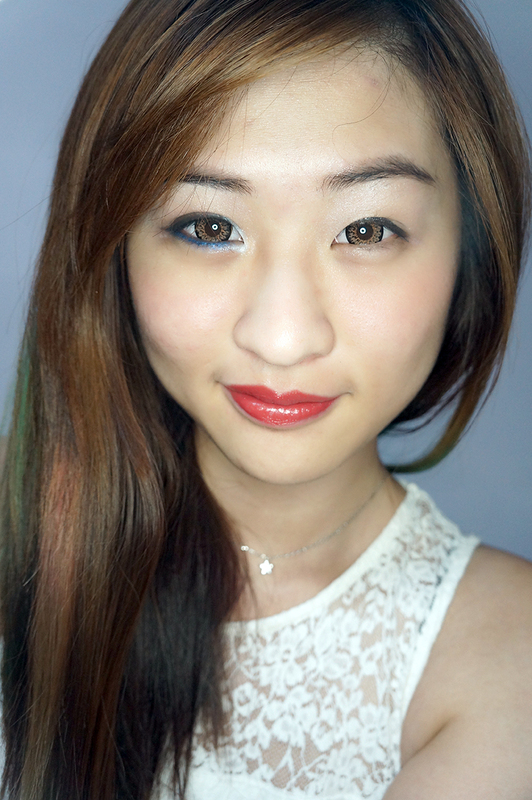 Here's my take on the recently launched eye shadow sticks by Elianto. I thank them very much for trusting me and gave me an opportunity to review these babies. 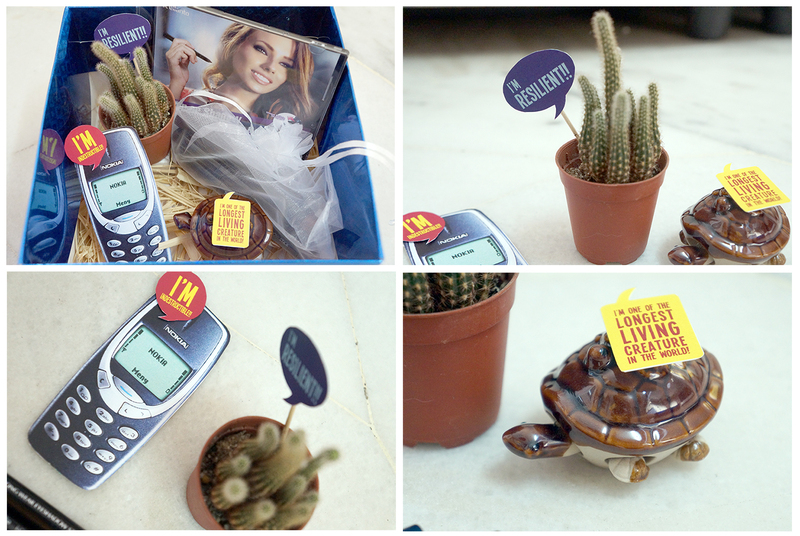 The parcel received was a cutest one that I've ever had. Apart from the eyeshadow sticks, a few notes were included to emphasize the benefits of the eyeshadows. 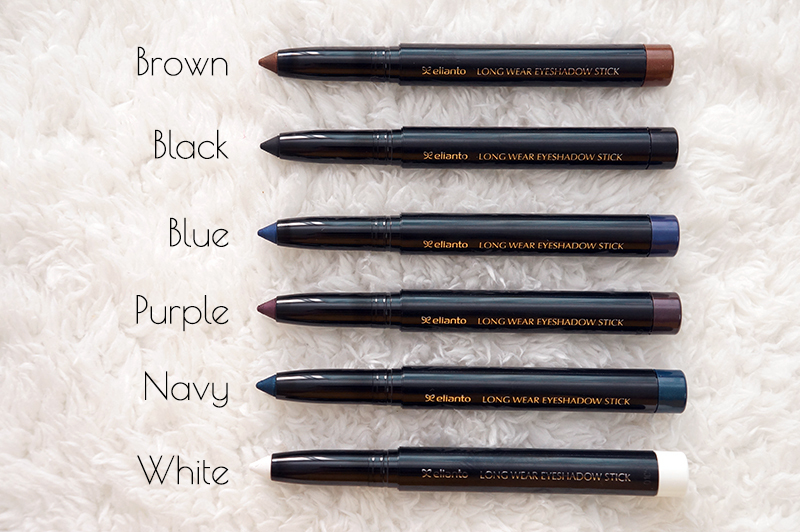 The Elianto Long Wear Eyeshadow Stick is a cream type eyeshadow with powder finishing upon application. It is easy to apply on the skin and it is waterproof too. 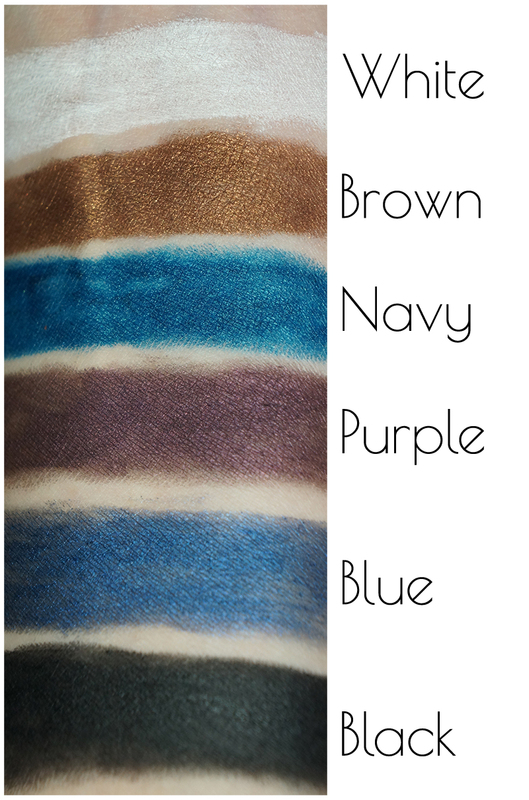 It is easy to blend the colors with finger tips or with brushes. 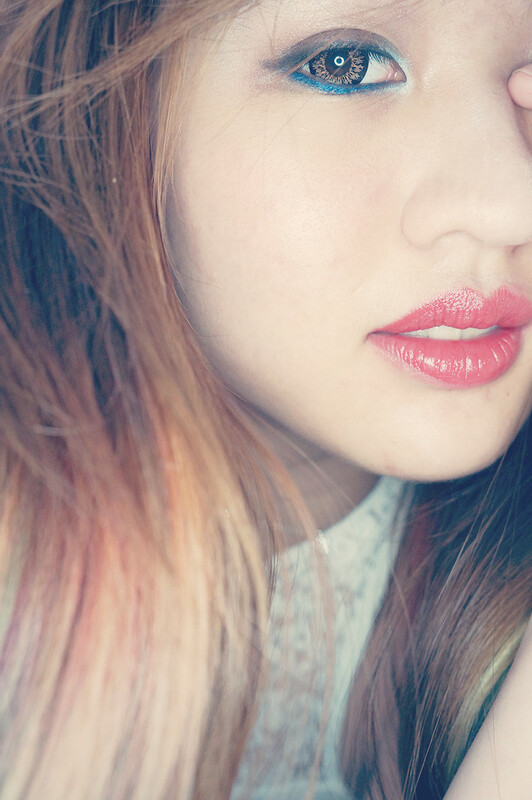 You can also apply the eye shadow directly on the skin too. 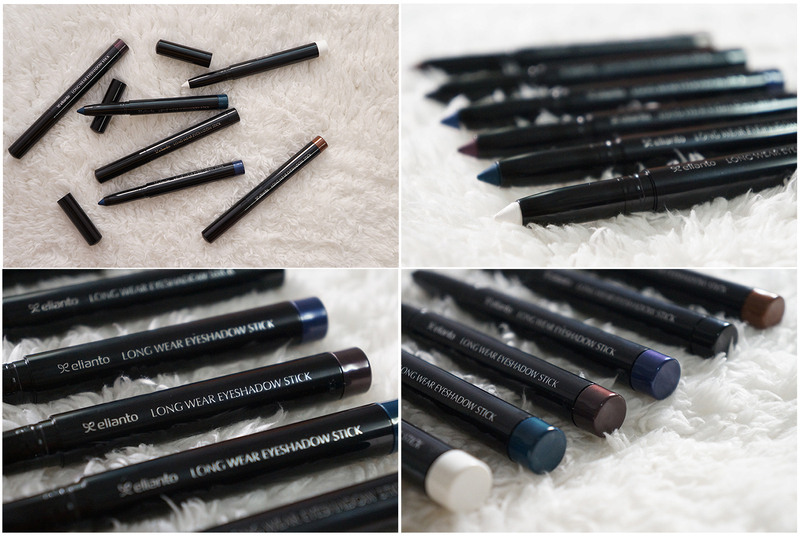 Elianto Long Wear Eyeshadow Stick has a total of 6 shades available. 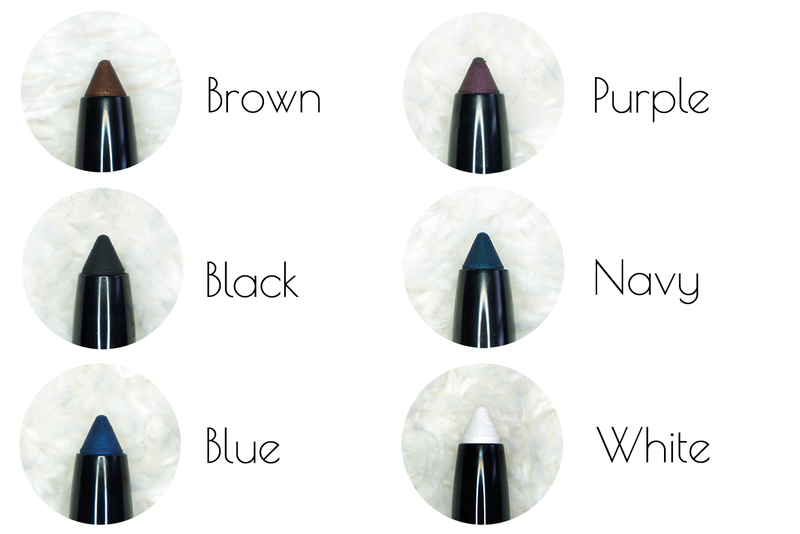 They are brown, black, blue, purple, navy green and white. The navy green is similar to blue, but you can clearly see the difference if you apply eye primer before applying the eye shadow. I personally love the brown and white shades. The brown eyeshadow can be used as a base for daily makeup look. As for the white one, it can be used as a highlighter too. They are so easy to use and it is very easy to glide on the skin too. The purple shade doesn't show clearly that it is a purple shade. It looks more like a darker brown shade on the skin. 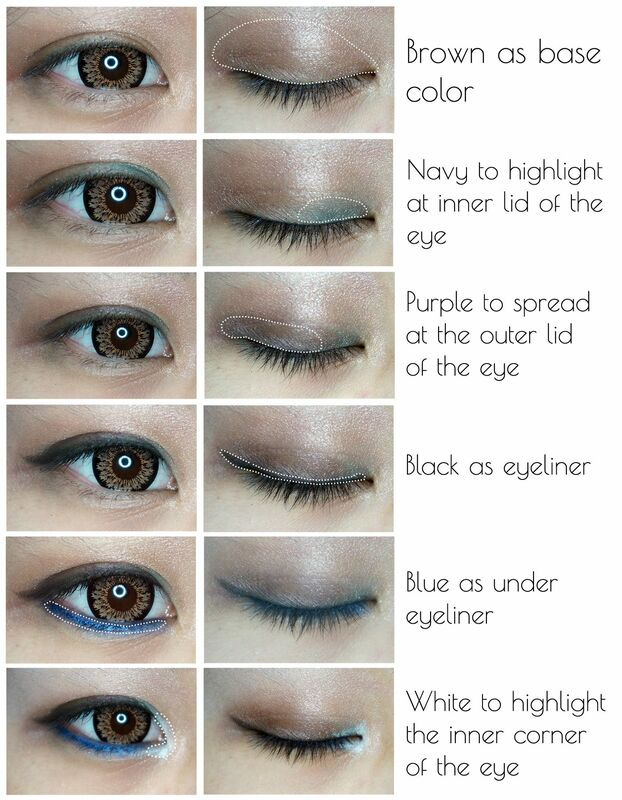 I love the brown because it can be used as a base color for eye shadows. 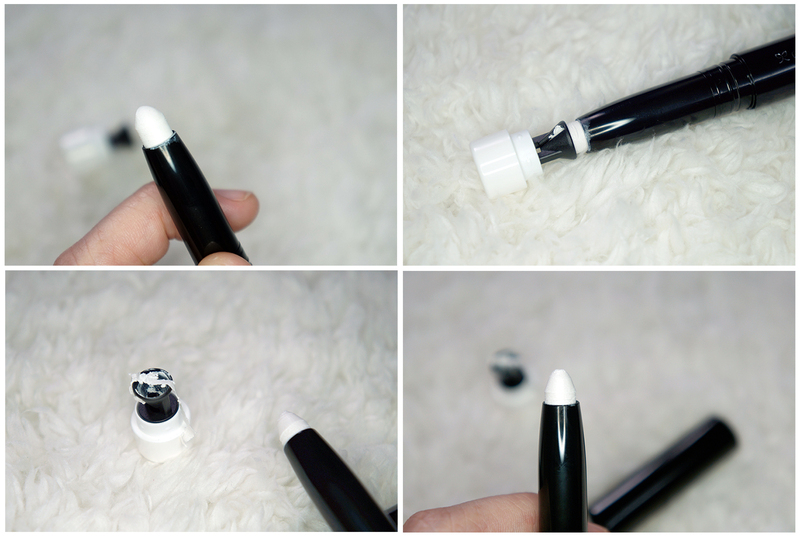 The black one can be used as eyeliner while the white one can be used as a highlighter on the face. 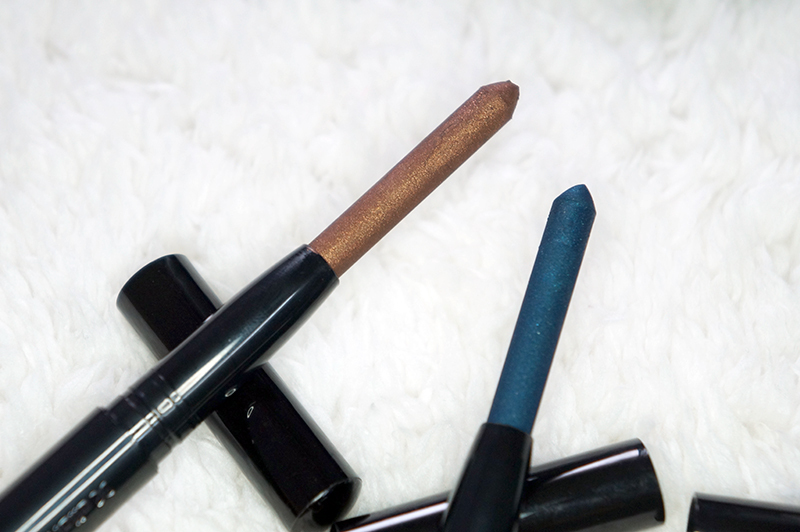 Here's a before and after image on the Long Wear Eyeshadow Stick. I'm quite satisfy with the outcome because the colors are well blended and it is long lasting too. It's pretty cool that the eye shadow stick has an attached sharpener at the end of the stick. I like the idea of the attached sharpener because you don't need to worry about the dull tip on the eye shadow. It is very convenience to bring around and easy to use too! Should you get this eyeshadows? 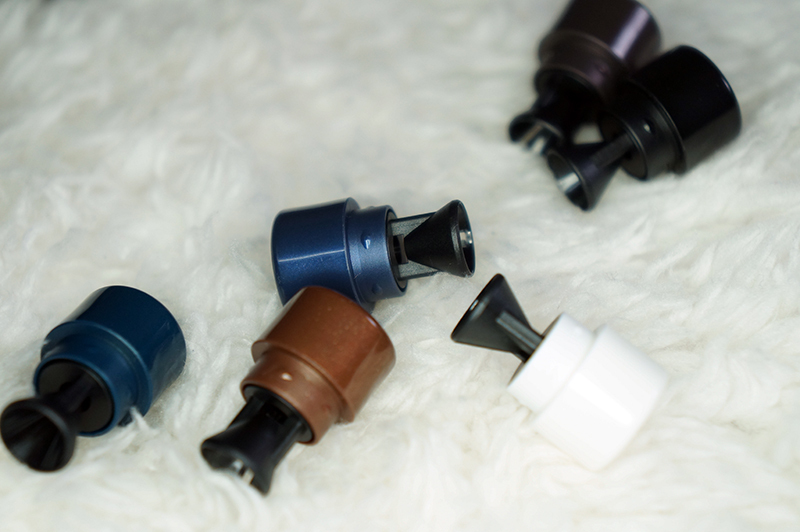 Well, worth to get them because it is affordable and convenience to bring around. It is waterproof but it is easy to be removed by water-based makeup remover. 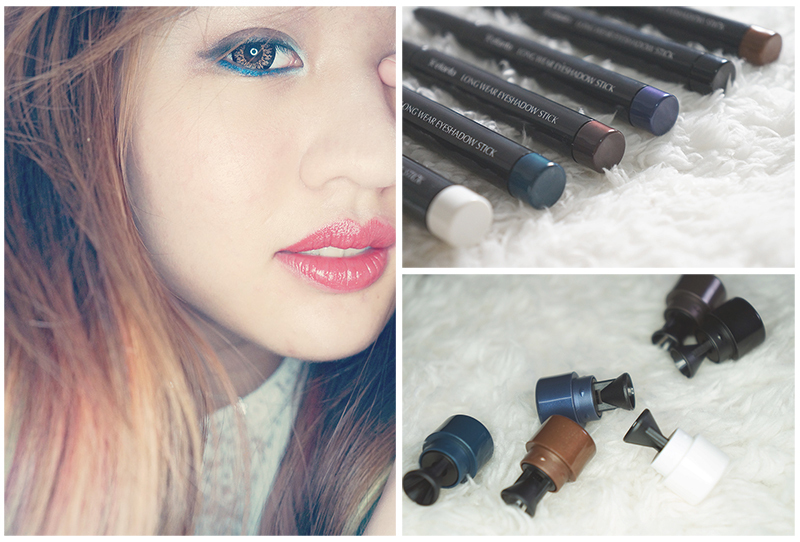 I love the intense blue color on the eyes and it is also very easy to glide on the skin too.